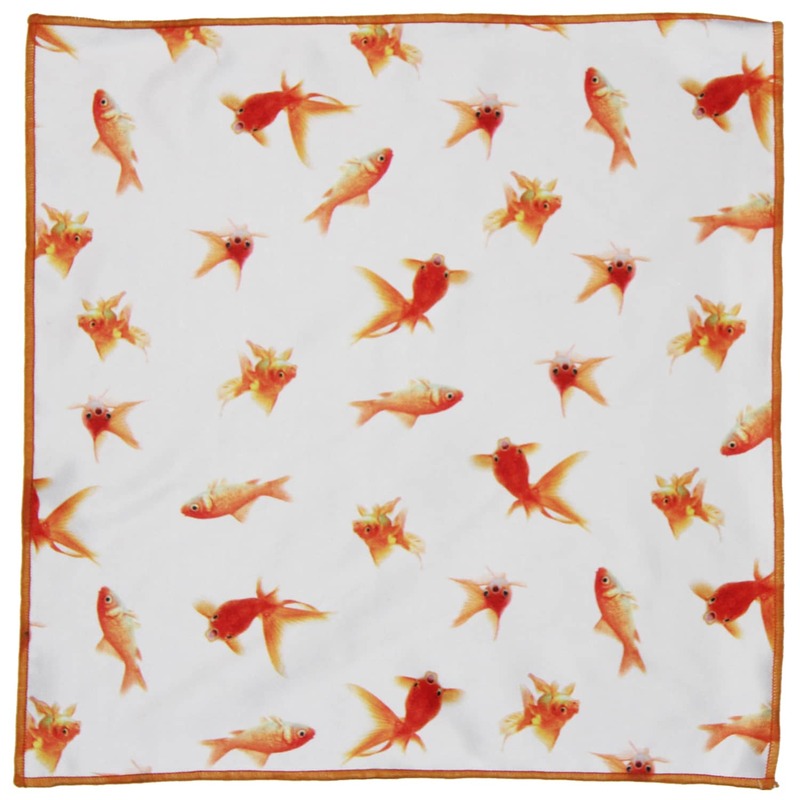 Goldfish print microfiber pocket square. This pocket square is tailored from supple 'microfiber' cloth that is ideal for cleaning the lenses on your eyewear and computor or smartphone screen. The fabric is woven from ultra fine threads that are highly absorptive to water and its oils. Gresham Blake in Brighton, United Kingdom.